Identify and appreciate your leaders strengths – this is tough since you don’t admire strengths in people you hate. But just intellectually analyse what could be his strength. Maybe at some point in time you will actually believe in them. But even if its an intellectual analysis its good enough. See how that strength might be benefiting the organisation. It might help you later in managing your boss. Commit yourself to adding value to your leader’s strengths – Assist him in leveraging his strengths. You have to be tactful in this. If the boss is totally selfish you might want to be careful how you do this lest it fuels his egotist behaviour further. Look at ways to project your team to others using the strengths of you and your manager. Visibility outside of your team would mean your visibility too. weakness clear to everyone, you should work on complementing his weak areas so that he feels strengthened. If you are able to do this well it will go a long way in helping you build a strong relationship with him. For example if your boss is lazy complement him with speed but if he is detailed supplement him with details too. Develop a solid relationship with your manager – If you don’t then the pitfalls will be many including lack of visibility, unfavourable appraisals, lesser support coming from the top etc etc. So its in our interest to develop good relationships with our managers. More often then not they will respond favourably since it fits their interests too. Look up common areas of interest and spend time talking about them. Often a lot of work that senior manager pass on to their teams can be quite useless. This happens particularly with the grey haired old school ones who like to use freshers as their secretaries. My experience as a fresher is that its a good road to build a solid relationship. Take the secretarial work gleefully. Expose your leader to good leadership resources – most managers like it when they get some good material to read from their teams or get to meet someone influential who can further their careers. Again tact is of importance here. The last thing you want is the manager thinking you are showing off that you are better read than him. Publicly affirm your leader – Be truthful in this. Don’t publicly affirm because Maxwell says so. Over a period of time others in the organisation more or less know how the rest of the senior managers are. So if you say something truthfully it will only portray you as someone who is not only a team player but also an honest person. And if others already know how screwed up your manager is in other areas, they might end up seeing maturity in you. Often these things are easier said than done. 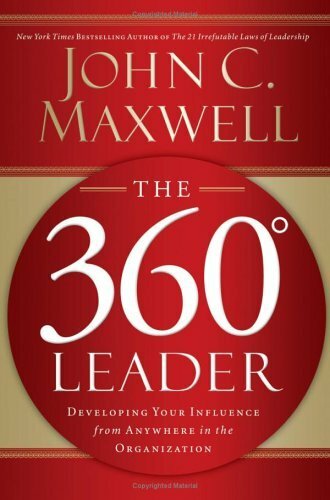 I have on my part taken generous helpings of the text in Maxwell’s book The 360 Degree Leader and simply represented it above. Some managers might be just not ready to listen to whatever you say, others may be extremely selfish. Situations can sometimes be beyond repair and the only way out is exit. However in such times put your self in the center of it all and look at how you can utilise all these resources around you including your boss to further your career and interests. I am not promoting a selfish way of working, but when you look at your manager as just another resource you need to manage, it may help you look at things rationally and when you do that, the above prescription may seem like a good direction of treatment. Don’t let your boss become a bottleneck for your growth. You might end up making your manager your admirer too. ← Got a difficult boss?